Many thanks to Ross Wittenham for this article. Ross is the mastermind behind History Mine, a delightful website that sees the modern in the historical. Definitely check it out and please give Ross a warm welcome! With a lot more of the new season focusing on Dorne, it’s worth having a deeper look at the principality’s background. In particular, I want to investigate the parallels between the Dornishmen and the Dorians. If you haven’t heard of them before, the Dorians were a successful tribe in Ancient Greece, whose people inhabited states including Corinth, Sparta and Argos. You may have heard of the Doric order of classical architecture. The Doric Order (or style) of Ancient Greek architecture is noted for columns that lie flat (or directly) on the pavement, Image: Temple of the Delians, Delos, Wikimedia Commons. One of the overlying themes of Dornish history is that of invasion. When the First Men first invaded Westeros, it was via the (then) isthmus of Dorne. When the Children of the Forest wanted to stem the flow, they broke the Arm of Dorne. Or, depending on your view of ancient parables, a natural disaster befell the land bridge, possibly the last part of a geological process of separation that took millions of years. On the right side, you can see Dorne’s “broken arm” (or isthmus) where the land no longer connects to the continent. (c) HBO. The ruling family, the Martells, was founded by an Andal adventurer. They rose to prominence following the arrival of Nymeria’s Rhoynar. A thousands years before the series began, the warrior queen Nymeria — and namesake of Arya’s direwolf — arrived in Dorne with a massive fleet of 10,000 Rhoynar refugees. The refugees were fleeing the Valyrians. Nymeria burned the ships so no cowards could slink home. She married and united with local lord Mors Martell to conquer and centralize Dorne; together they cofounded the Martell dynasty. Image: (c) HBO. Should any other invaders cast an eye on Westeros *cough* Danaerys *cough*, Dorne would be the obvious entry point. During the Targaryen conquest, the Dornish hid in the desert to escape the Targaryen dragons and ambushed the Targayen’s supply lines. Eventually, after four years and the death of sixty thousand of King Daeron’s men, the Targaryens gave up, leaving the Dornish unconquered. (c) HBO. One of the earliest theories about the Dorians is that they invaded Greece, possibly from Macedonia and the North, but also possibly as ‘Sea Peoples’. The theory itself is in some doubt, but the idea has definitely taken root. It is certainly worth pointing out that the history of Greece starts with the Minoans, from Crete. The Minoans fell from dominance following the eruption the Santorini volcano, a major geological event with its own mythical explanation; it could be the basis for the story of Atlantis. Whatever the case, they were replaced by the Achaeans, who were Homer’s heroes. It was the Achaeans (if anyone) who were then invaded by the Dorians. Oberyn fighting with his spear. (c) HBO. Spears are damn popular in Dorne. Oberyn, the Red Viper, picked one for his showdown with the Mountain, and they are equally popular with his daughters. They were on Martell banners even before they teamed up with Nymeria’s Rhoynar, and their capital city, Sunspear, is named after the merged sigils. Likewise, the spear was unquestionably the principal weapon of ancient Greece. Hell, even Hollywood has picked up on this, with fight scenes in ‘Troy’ and ‘300’ revolving around the weapon. These ranged from javelins to long pikes, but the real star was the ‘doru’, a single-handed spear with a flat head that was wielded by hoplite phalanxes. These two hoplite (heavy infantry soldiers) hold spears in overhead and underhand thrust positions. Image: Licensed via Wikimedia Commons. Two major technologies introduced by the Andals were iron working (taught to them by the Rhoynar) and superior writing. Both may have been significant in the conquest of Westeros. These are also major themes of ancient Greek history. The Acheans introduced a script called ‘Linear B’, which rendered the Minoan ‘Linear A’ obsolete. Iron also marked a major cultural change in ancient Greece. Since iron was much more widely available than bronze, entire armies could be armoured, rather than just the heroes of Homer. So the Dornish are Dorians? Because we’re drawing parallels between cultures, rather than individuals, it is harder for us to make a decisive conclusion. Nevertheless, I think we can safely say that Doran, prince of Dorne (and his niece, Dorea) owe something to the Dorians and their dorus. And remember: wearing a helmet could save your life. Ross is a writer and editor who runs the History Mine blog, has an unholy love of fine cheeses and a minor obsession with his hair. History Mine investigates the ways history is portrayed in the world around us. Expect cursing, pop culture references, and lots of cool videos, pictures and such. This is superb, Ross. Many thanks! Fascinating parallels that are going to resonate with and enhance my viewing- now that we’re being taken into Dorne on the show. Kind of a ‘sidebar’ here – and please forgive any irrelevance – but actors and casting are one of my interests. I was thinking of that scene in ‘Troy’ where Odysseus (Sean Bean) fights Glaucus (James Cosmo). 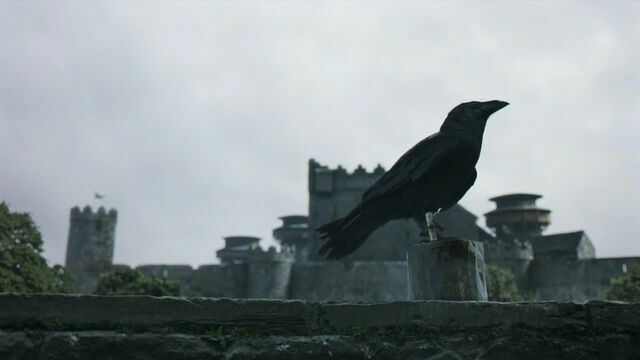 Ned Stark versus Lord Commander Mormont ! I didn’t even remember that. Here’s that link for anyone interested: https://www.youtube.com/watch?v=Cag-va7wSYw Troy may be lacking in historical accuracy, but it is a pretty epic film, and it has some awesome duels! That’s very cool, Martine! Btw, coincidentally, I think showrunner David Benioff wrote Troy. Of course! I can’t believe I forgot that link to David Benioff and ‘Troy’, Jamie. There are so many layers of connection sometimes. Haha. yes I understand. A ‘Hollywood/AncientGreece/GameofThrones’ fight mash up was just too good to resist, though! OopS! JEOR not Jorah. What was I thinking! There is a scene in “Troy” where there is an aeroplane (in the sky) caught on camera. I’m sure I’ve read somewhere that GRRM said that Dorne (mind you that’s the place rather than the Dornish people) was a mixture of Wales and Spain. Of course that does not mean that the Dorians did not provide the inspiration for the inhabitants of Dorne (and of course we know that GRRM does a certain amount of mix and match with his inspirations). I can never remember all the different (ancient) Greek peoples – in more modern times I get confused about there being Macedonians in Greece and Macedonians in part of the former Yugoslavia. I suppose the Dorian mode in music gets its name for the Dorians (I should state now that I am an ignoramus where music is concerned – I know what I like but I can’t pitch in my head or play an instrument [I don’t think “Three Blind Mice” on the descant recorder counts]). I have heard of the Dorian mode though. Being more serious, thanks for this worthwhile read, Ross. There is so much information to take in that I think I will have to come back and read this article again. Very interesting about Dorne being a mix of Wales and Spain! I can see the Celtic inspiration there though, such as, the parity of males and females reflected in their laws and culture (the succession springs to mind), as well as the women being able to choose whom to marry, and being able to rule and war in their own right (Boudicca anyone?). Just a quick note dear Watcher! Macedonians in the northern part of Greece are Greeks, just like the ancient Macedonians were an ancient Greek ethnic group, who formed a kingdom in Northern Greece, whose boundaries are more or less the same with the modern Greek prefecture of Macedonia.The ancient Macedonians spoke a Greek dialect,worshipped the same deities like the rest of the Ancient Greeks and took part at the Olympic Games, which was limited to Greeks from all over the Greek City-States,Kingdoms and Colonies. And you are right in your assumption that it was a Doric group. Diefference is they didn’t advance to the south,like their peers who among other regions inhabited.This Sparta -Leonidas’s and the 300’s Sparta is not Homer’s Sparta of Menelaus and Helen. The latter were Acheans/Myceneans. Now the other ones are of Slavic and Bulgarian descent and they reside in the state of FYROM (Former Yugoslav Republic of Macedonia) with absoloutely no link to the glorious historical past they attempt to claim as their own.Their ancestors reached the Balkans,during the Byzantine Empire’s reign, around 600 AD.This proposition was already in place during the Yugoslav communist years,and it was used widely as a propaganda,in order to have a claim at the wider territory,which they lost after the two Balkan wars to the Greek Army. Hope that helped a bit,cheers! Thanks for the information on Macedonians. Very nice discussion of the similarities between the Dorians and the Dornish Rhoynar. To me, Dorne is much more similar to Al-Andalus (Moorish Spain) than Greece. Even more so since the Reach appears based on France and Al-Andalus is south of France. The Dornish culture is very Andalusian even down to the food and architecture. The only difference is that Dornish women seem to enjoy a much higher and freer social status than Moorish women. It could be said that the Water Gardens has its parallel with the Medina Azahara (the Moorish version of the Versailles) and with the Alhambra of Granada. Dornish culture is dramatically different from the rest of Westeros, and Moorish culture is dramatically different from the rest of Western Europe. Also, Dorne was able to resist the strength of Westeros for a long time…just as Al-Andalus resisted the united the strength of West Christendom for a long time. Furthermore, the ethnic diversity of the Dornish is reflected in the ethnic diversity of the people who migrated to Spain during the Muslim conquest–Berbers, Arabs, etc, like the Rhoynar migrating to Dorne. Another similarity: Princess Nymeria fled a powerful enemy (the Valyrians) across the sea to Dorne, married a local Prince, and fought local lords to unite them under the ruling dynasty that she established; Prince Abd al-Rahman fled a powerful enemy (the Abbasids) across the sea to Al-Andalus, married a local princess and fought local lords to unite them under the ruling dynasty that he established. When thinking of similarities between Westeros and Medieval Europe, I think that Westeros is what happens if a Medieval king had dragons and conquered the Western European lands from Scotland to Al-Andalus (the North to Dorne). That is not to say that there’s no similarities with the Dorians. You’ve done that well and might have stumbled upon GRRM’s inspiration for Dorne’s name. I see many influences in Dorne – ancient Greece, Sparta, ancient Syria, Egypt and above all, Aragon & Castille (known for their progressive attitude to women). Another inspiration for Oberyn springs to mind, the liberal, fiercely loyal family man (and supposed bisexual) the Duke of Anjou. He was the second cousin of Mary, queen of Scots, and campaigned vigorously on her behalf, plotting against Mary’s cousin, Elizabeth I, as Oberyn did on Elia’s part to claim revenge. Despite his connivance and ruthless ambition, he was immensely loyal to his family – the Guises. He was also reportedly bisexual (like Oberyn) and famed for wearing dresses and partying. It was said he was also a bit of a liberal at heart but was considered to be a powerful enemy to those who opposed him.